LBBG (2nd cycle). Rainbow Beach. Chicago, IL (Cook County). 13 Dec 2014. Photo by Amar Ayyash. LBBG (2nd cycle). EastPort Marina. East Peoria, Illinois. 20 December 2014. Photo by Matthew Winks. Notice something? Yes, it's the same individual that was on the Chicago lakefront the previous Saturday. Only now it's hanging out in East Peoria, Illinois, approximately 150 miles from where I observed it. Chicago, IL. 13 Dec 2014. Photo by Amar Ayyash. East Peoria, IL. 20 Dec 2014. Photo by Matthew Winks. Stumbling upon this neat data point is more surprising to me than learning this bird was seen 150 miles to the south a week later. Matthew and I both think it may have followed the river-ways until it hooked up with the Illinois River. This isn't the first time that Matthew happens upon gulls from the Chicago lakefront. 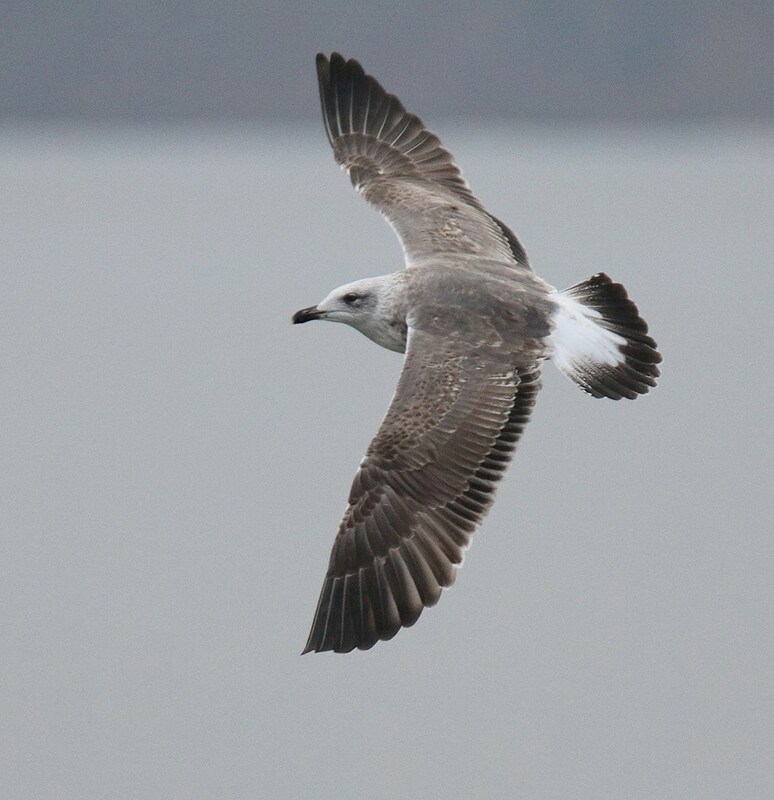 Before this, he had also recorded a couple of the Ring-billeds that were fitted with colored patagial tags from the Dime Pier/Lake Calumet colonies. 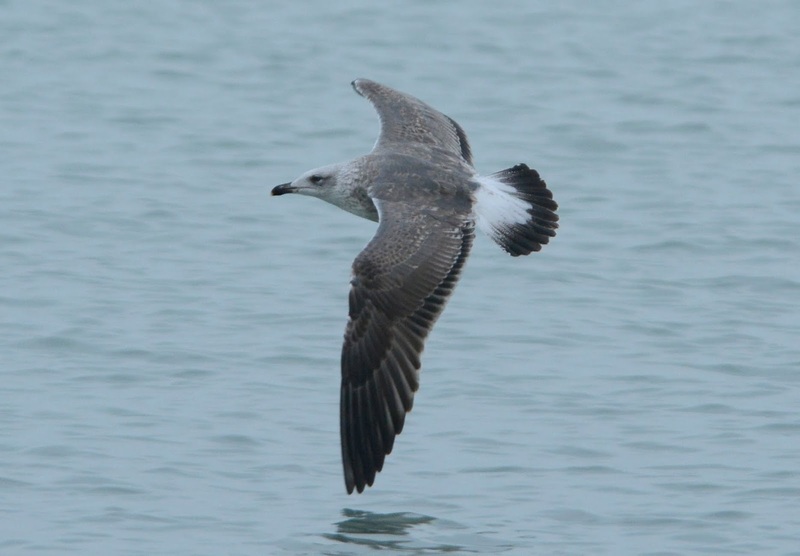 Gulls are powerful fliers and very gregarious. 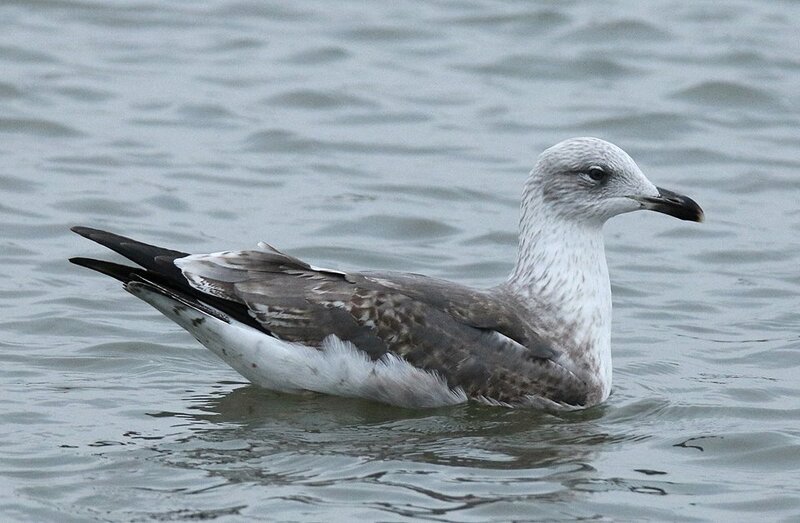 They're skilled at finding other gulls that are on to a good food source, and that's likely what this one-and-a-half year old did. It's a great time to be alive where digital cameras, text messaging and the internet allow for information to be exchanged rapidly!